VTS, a commercial real estate platform that focuses on leasing and asset management, is making waves once again. Company leaders announced that they are creating a strategic partnership with JLL, an investment management and professional services firm on the Fortune 500 list of companies. JLL offers specialized services to help boost value for clients interested in owning, occupying, and investing in real estate. VTS is a comprehensive ecosystem launched in 2012 where brokers and owners can identify trends, manage deal activity, and quantify portfolio performance using a single dashboard. VTS previously made headlines by setting a record of $55 million for venture capital funding, as well as announcing the first-ever software developed for leasing and asset management. Specific to technology for leasing management, VTS will be an enterprise-level partner. As such, the collaboration between VTS and JLL will help landlord representation professionals streamline their workflows and close deals quicker and easier. By creating yet another partnership, customers will benefit from historical and future leasing data and enjoy the power that comes from real-time market intelligence. What makes VTS unique is that it provides a real-time overview of trending for net effective rents. 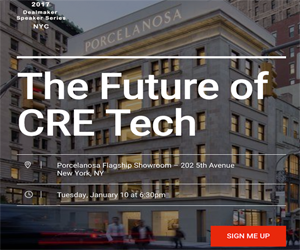 According to Jay Koster, JLL Group Head, Americas Capital Markets and Investors Services, this technology reveals the exact industries and tenants responsible for driving demand for certain types of businesses and within specific locations. Coupled with available information from the existing internal system, the data allow investor clients to make timely, accurate, and informed decisions. The agreement between VTS and JLL will continue for several years, during which time landlord representation professionals for JLL Americas will have access to a leasing platform. The incredible analytics and real-time insights will enhance both productivity and the client service. The VTS central platform is offered to brokers, owners, and investors for various purposes, such as identifying market trends, qualifying leads, viewing current and comprehensive data in real-time, and managing portfolios more efficiently. Additionally, all landlord representation professionals from JLL can integrate data directly into the VTS platform using the available tools. This pertinent market and tenant data streamline the entire workflow process and help close deals faster. Since launching, the VTS technology has been used in several U.S. markets by JLL Americas. However, with the new partnership, the existing relationship will expand and improve. As stated by Chris Roeder, International Director for JLL, VTS is a huge time-saver for virtually everyone on the team, from junior analysts to top executives. The JLL team and clients are also excited about seeing information on the prior day’s happenings in real-time, as well as daily emails generated by VTS. Ryan Masiello, Chief Revenue Officer and co-founder of VTS, said the company is beyond excited by having the opportunity to grow the relationship with JLL around the world. Ultimately, this leasing and asset management platform will become available to more people, including JLL occupier clients, investors, and property owners.